In the past few months we've taken in lots of cats from local farms. Now we need to find lots of new homes for them to go to. They are too scared of people to be rehomed as family pets, but should be able to help keep rodent pests under control. We home them in pairs or more. They need somewhere to sleep which can be kept well insulated and therefore warm, and a regular supply of food. 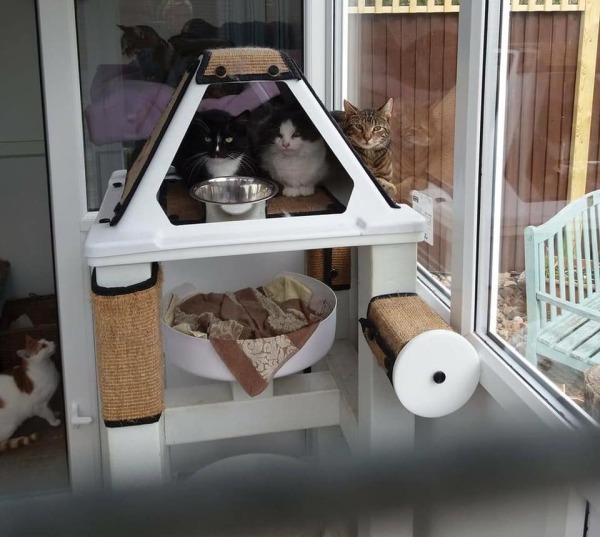 Please get in touch if you would be happy to give a couple a home or would like to ask for more information about how to keep ferals or set up a shed for them. We neuter all working cats before rehoming them. If you are interested in adopting working cats please contact New Start!